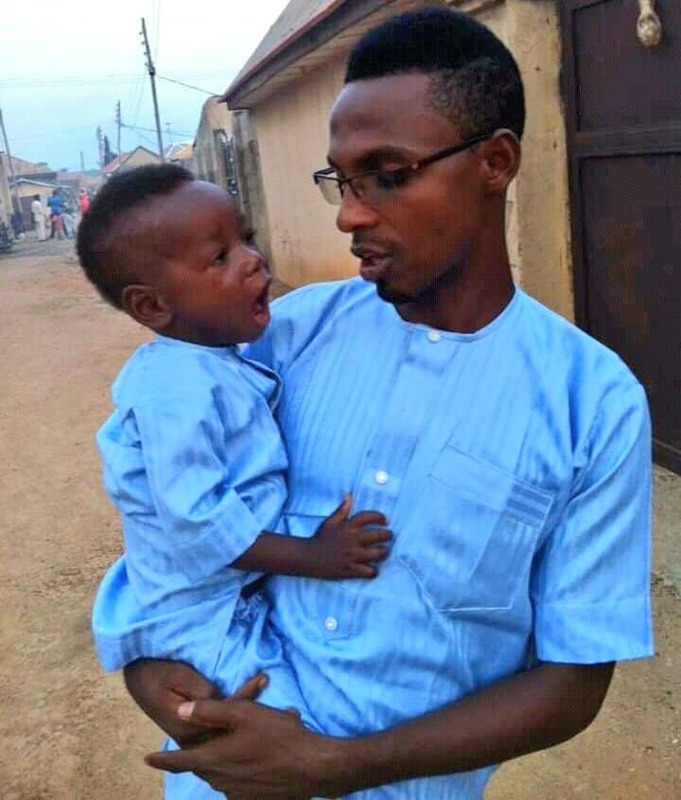 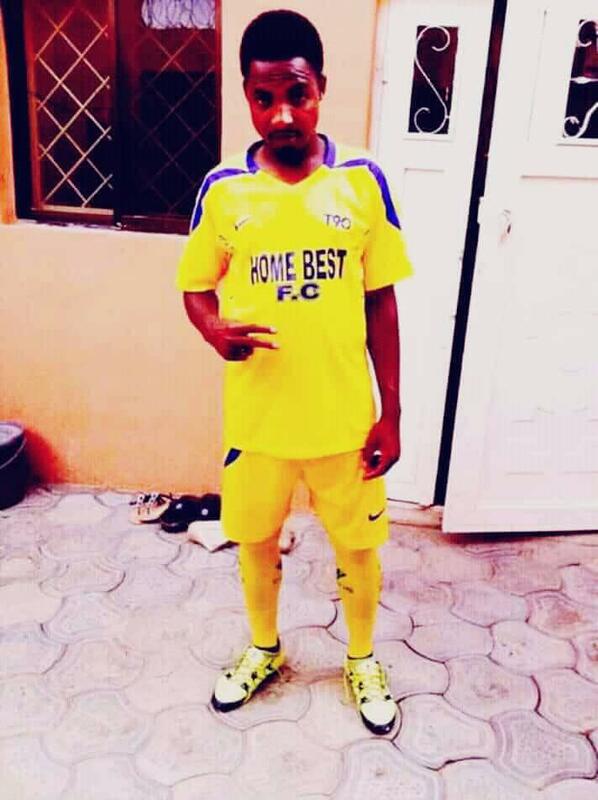 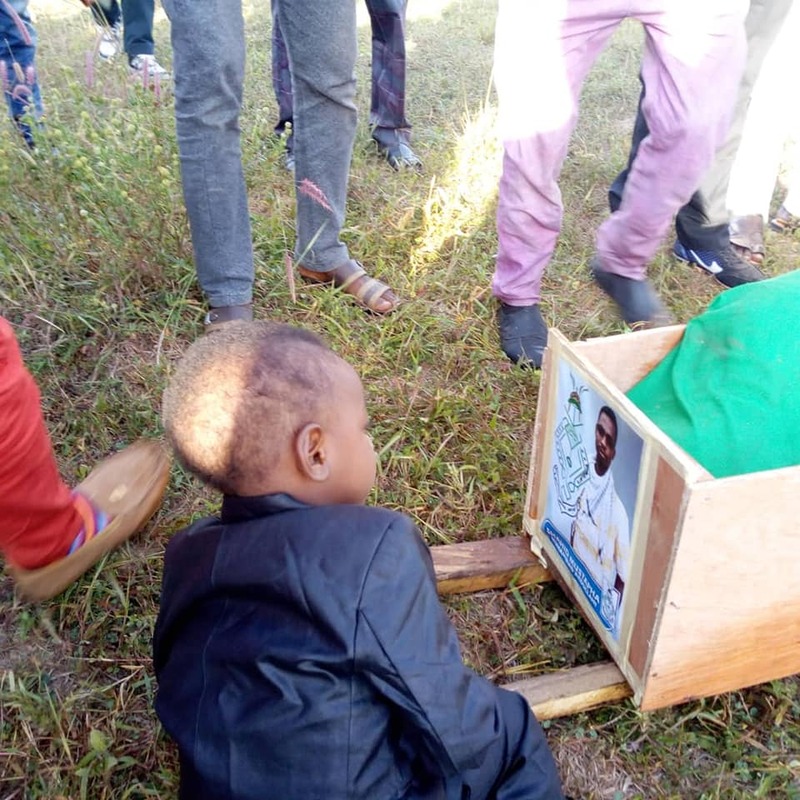 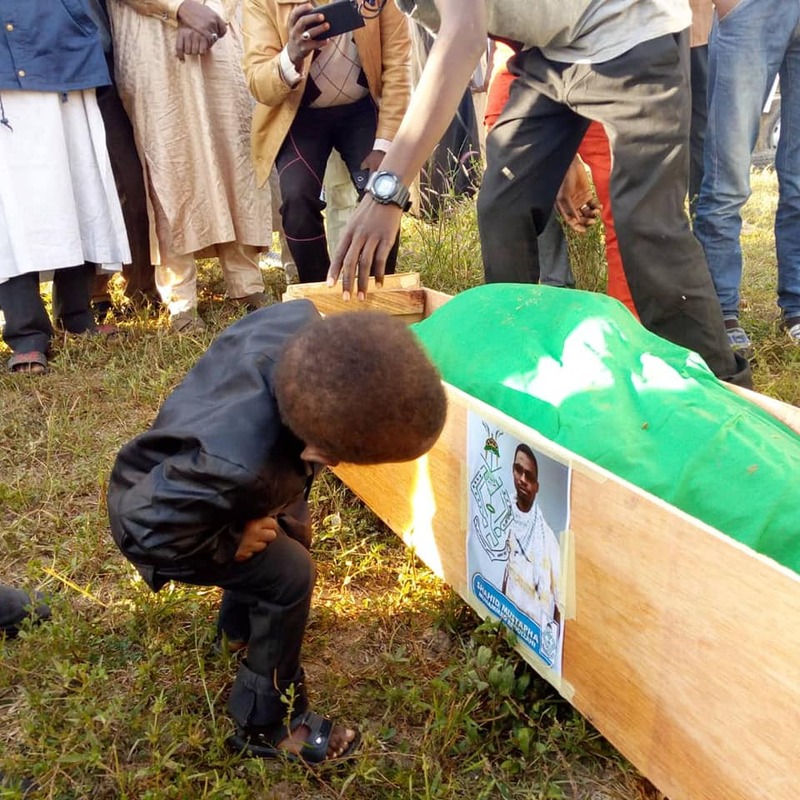 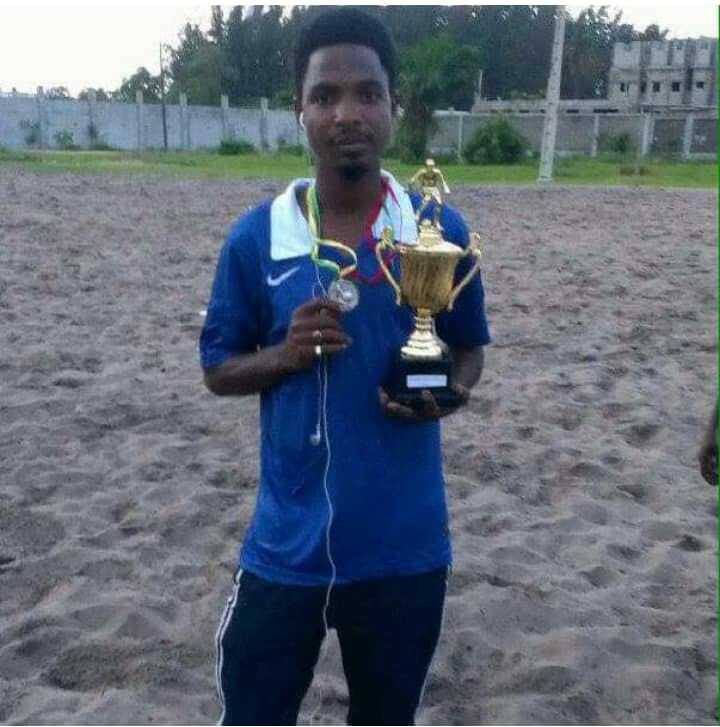 Abbas, the only son of martyr Mustapha Abdullahi Ingawa killed by Nigerian Army during the Arbaeen Trek in Nigeria, bids farewell to his father fews hours before his burial. 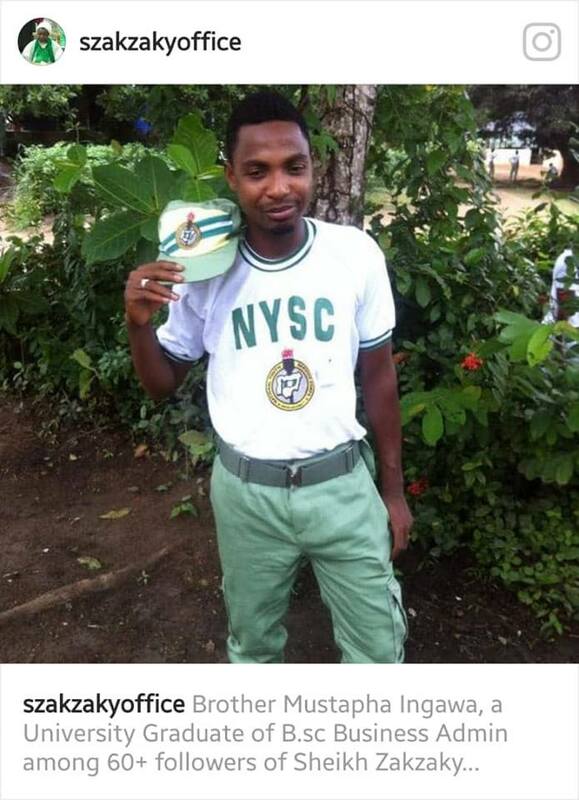 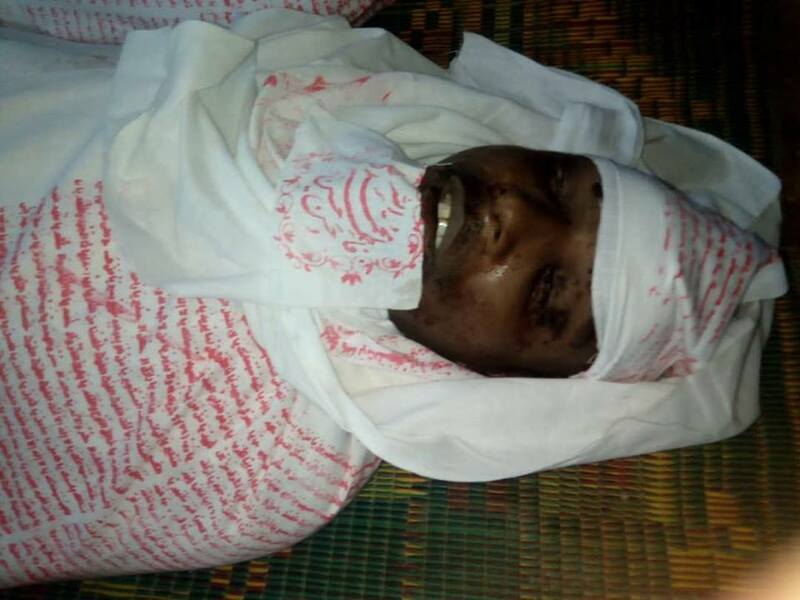 The military mercilessly murdered 50+ mourners in Abuja on Monday the 29th of Oct 2018. 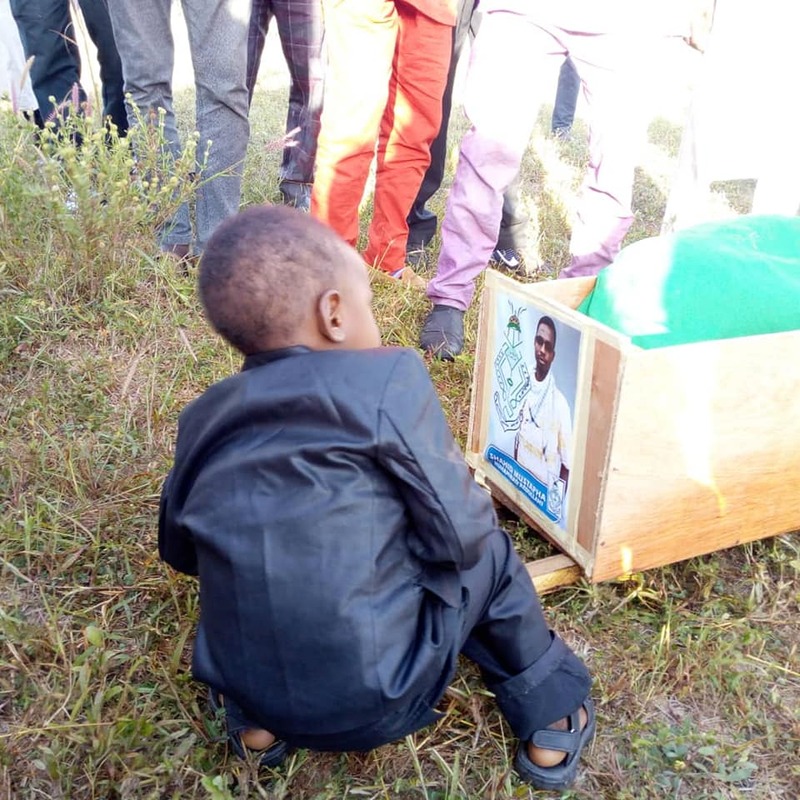 A martyr's son looking at a memorable picture of his father who was martyred in cold blood by a blood thirsty President Buhari(of Nigeria) during this year's peaceful Arba'een symbolic march in the city of Abuja, Nigeria. 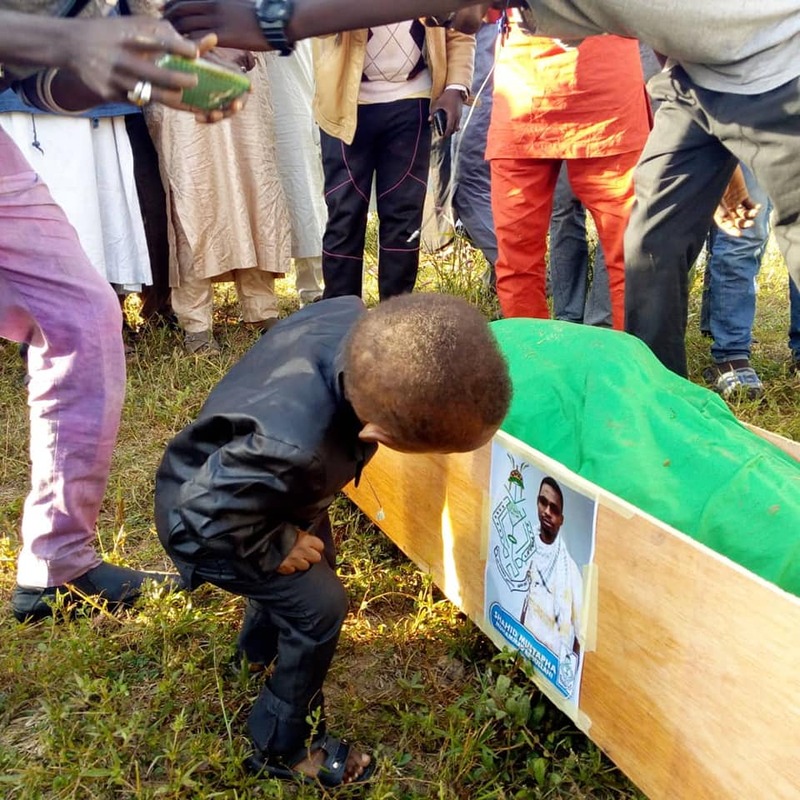 The boy was looking at his father's picture shortly after the corpse was prayed before its farewell.